If you're looking for high Speed action on the finest personal watercraft in the world, you've come to the right place. 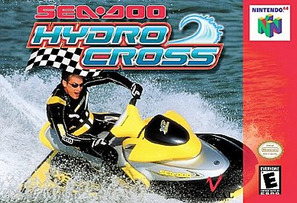 Eigth authentic sea-doo models in eight unusual and creative waterrace courses make this the most exciting racing without getting wet. Features a cast of eight extreme characters and plenty of shortcuts, hidden areas and breakable objects.